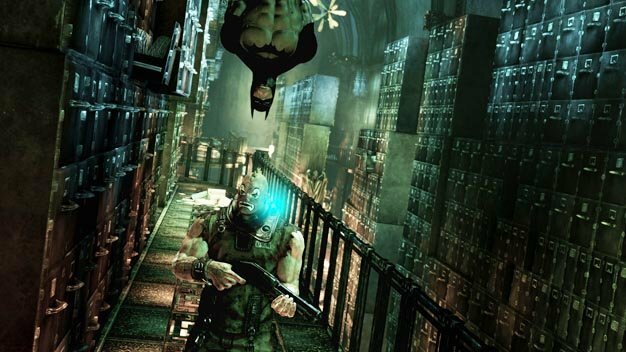 Much like our favorite vigilante sneaking down on his enemy in the picture above, Rocksteady seems to be ready for a sequel to Batman: Arkham Asylum. Although without actually saying it, co-founder Sefton Hill hinted at the possibility when talking to Official PlayStation Magazine. Not only did the game make it into the Guinness Book of Records as the most critically-acclaimed super hero videogame ever, but the idea of a continuation to the first game was brought up two months ago, when lead narrative designer Paul Crocker mentioned that a sequel could be developed if people liked the first game. The latter was confirmed just a few days later when Batman: Arkham Asylum reached two million copies sold after a mere two to three weeks of being available to the public. A sequel you ask? We should think so.